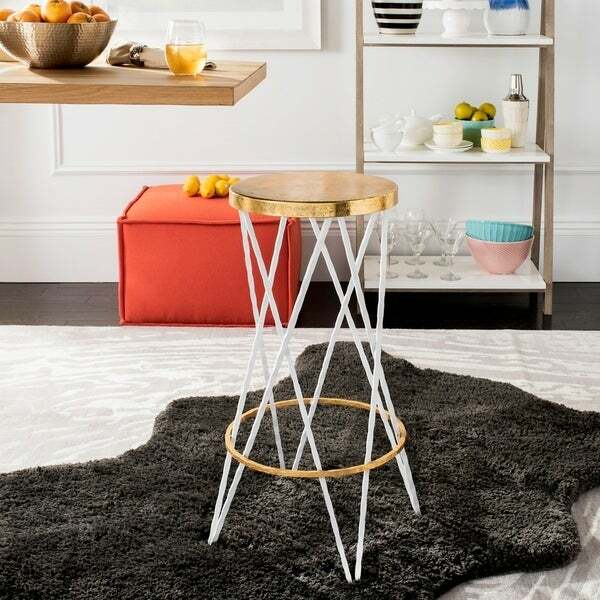 Safavieh Lorna Gold Leaf Barstool - 18" x 18" x 30"
Elevate any interior with this contemporary bar stool. Designed to recreate the ambient interiors of an iconic Hong Kong lounge, its substantial iron construction features sleek white retro hairpin style legs paired with an opulent gold-finished seat. Dimensions 15.5 In. X 15.5 In. X 30.0 In. Safavieh Lorna Beige/ Gold Leaf Counter Stool - 17" x 17" x 24"